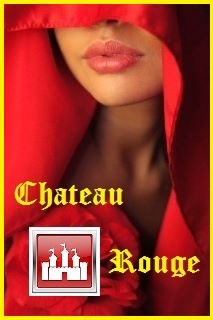 They were all three together, sitting in the ground-floor salon of the Chateau Rouge. Jean-Pierre, Marie-Anne and Katarina too who had just met with her boyfriend’s sister were sipping a glass of champagne. It was the right beverage to celebrate the reunion of two relatives according to Katarina. She had welcomed Marie-Anne with open arms as if it was a family member of her own. At first, Marie-Anne was a bit overwhelmed though after a while being in the company of the new Baroness of the castle, she noticed for a fact that Katarina wasn’t pretending. Neither Jean-Pierre nor his girlfriend insisted on Marie-Anne telling about her life from the past years. They both supposed that the woman considering the fact her husband had died, she had lived a difficult time lately. After talking about some generalities, Marie-Anne started herself to tell without an immediate cause. ‘I know you probably have a thousand questions, little brother. I’ll try the best I can to tell you everything that has happened. I assure you it’s even worse than you have expected.’ A shadow glided upon her face and suddenly the look in her eyes changed and they got a sad expression. Marie-Anne took a big gulp of her glass of champagne trying to find the courage in her drink. She cleared her throat and started a story that reminded a crime movie. ‘Gerry was a charmer, and I fell for him. Before I met him, I was never interested in men. I thought I was too young to commit or to have a love relation nonetheless many of my friends were married or even had a child.’ Jean-Pierre’s sister shrugged and went on. Katarina and Jean-Pierre listened without interrupting her. They supposed it was difficult for the woman to talk about that period and they let her the time to sort things out for herself. ‘I still remember putting my hand in front of my mouth otherwise, I surely would have screamed. At that moment, I heard Gerry giving the order to kill the man he called a traitor. Right in front of my eyes the man was executed with one gunshot from a pistol with a silencer.’ Tears flowed down Marie-Anne’s face. Katarina went sitting beside her and put her arm around her shoulders, comforting her. Jean-Pierre furrowed his brow. He knew this Gerry person didn't have a clean bill of health, but a downright murderer was something else. 'Yes, my little brother, eventually I have found a solution. The only way I would be free. I've made contact with a rival of my man, also a killer. In exchange for a passport and a plane ticket to Europe, I've given him the safety codes of the estate. It was very easy for him and his men when I was shopping one day, to sneak in the house and eliminate my husband. I haven't pulled the trigger to kill Gerry, but you could say I'm indirect the cause of his death. I'm a murderer on the run, Jean-Pierre!